Loose casual sweatshirt with Faith letter print for Girls, Juniors and Ladies. 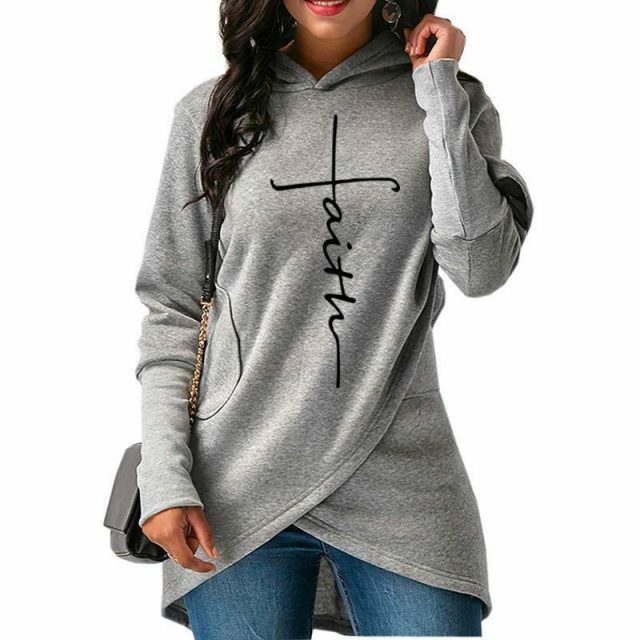 The asymmetric Hem Wrap hoodie is perfectly fashionable to wear during fall and winter and makes a stylish look. Perfect to pair with jeans, shorts, leggings which makes you look charming and elegant. 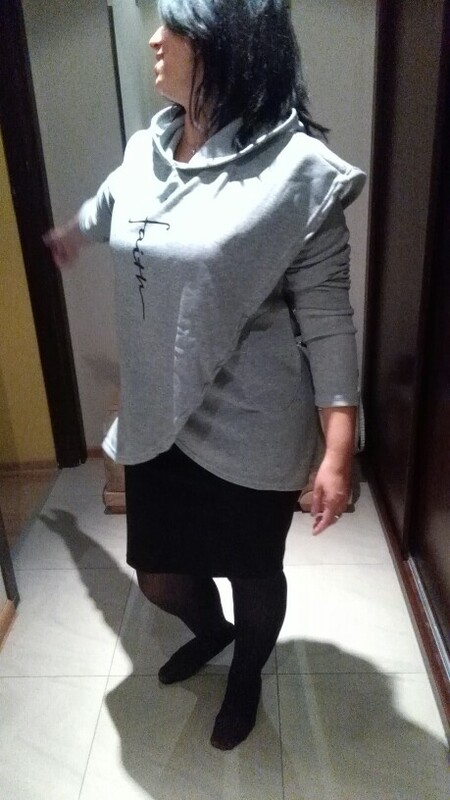 • The shirt fabric is made of 50% cotton 50% poly preshrunk fleece, which feels very comfortable. • Machine wash warm, inside out, with colors. Only non-chlorine bleach. Tumble dry medium. Do not iron or dry clean. 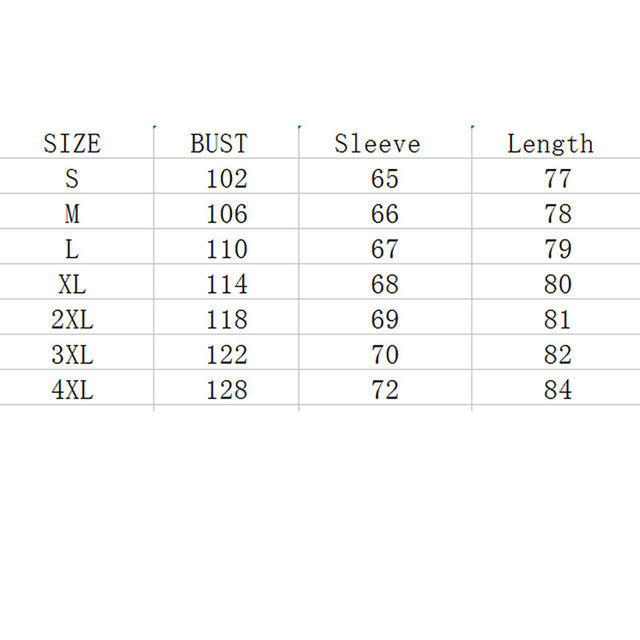 Please check the size chart carefully before you buy the item, The sizes above fall a little smaller if you don’t know how to choose size, please contact our customer service or follow the measurement chart below. 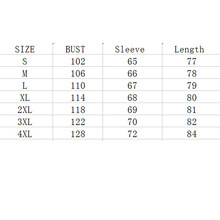 Always choose the larger size if your stuck between two sizes. About color: Different computers display colors differently, the color of the actual item may vary slightly from the following images. I like it very much !!! Good quality, as pictured !! Fast delivery to Makhachkala !! Thank you seller))) !!!!!!!! Very Cool Sweatshirt. Very satisfied. I recommend this to everyone who has faith. 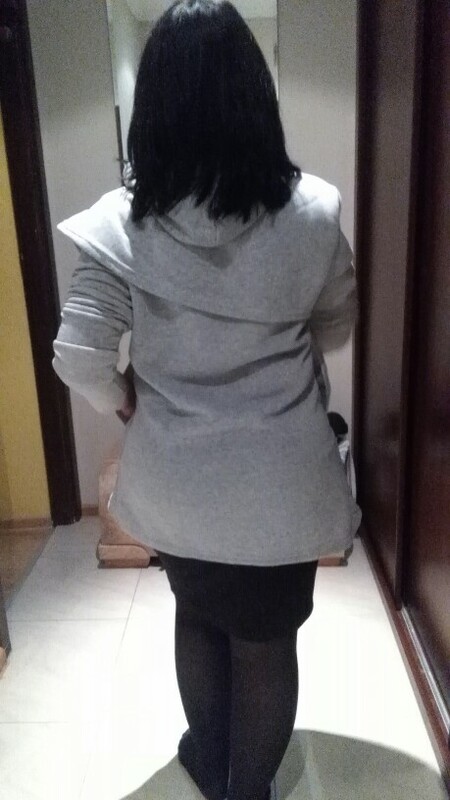 The jacket is exactly as in the photo, The top part is little bigger than I thought. Very satisfied. The color is much lighter than in the picture. 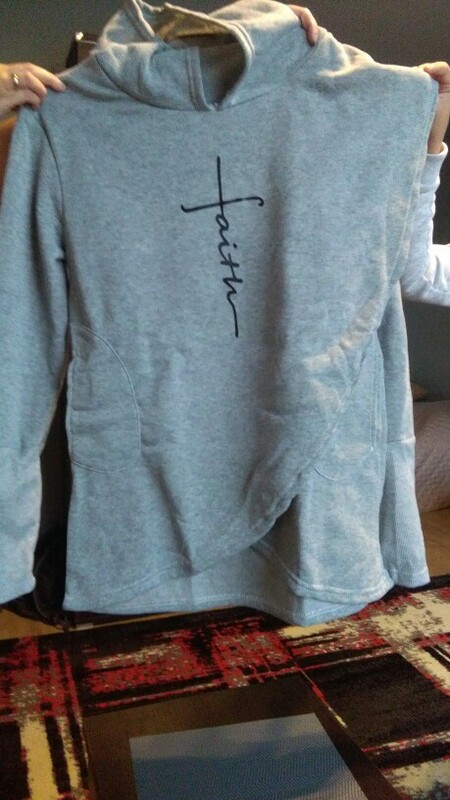 I really liked this jacket/sweater, the quality is very good and feels very soft . Thanks for the fast delivery! I surprised my wife with this sweatshirt. Everything fits perfectly. Wife is delighted !!! Everything is just super !!!! 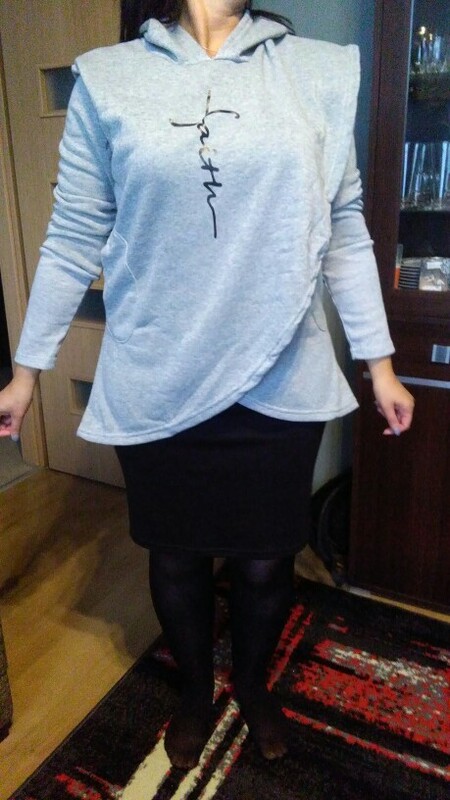 Very nice, size is correct, i am enjoying it very much, I wear it with jeqns just like a picture, recommended.